During the month of November we are opening our teaching laboratories for 3 afternoons and inviting schools to bring along their students to take part in our JAVA_FEST and HACK_THON lab sessions. JAVA_FEST: An introduction to interface design and computer programming using Java. 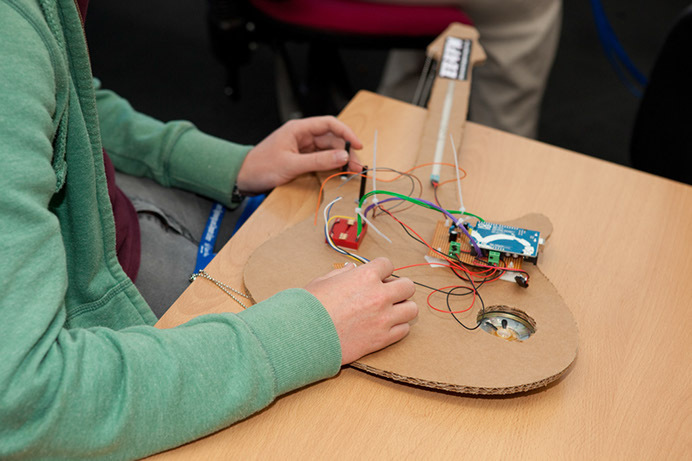 HACK_THON: Hands-on experience in microcontroller programming, audio coding and experimentation with sensors.